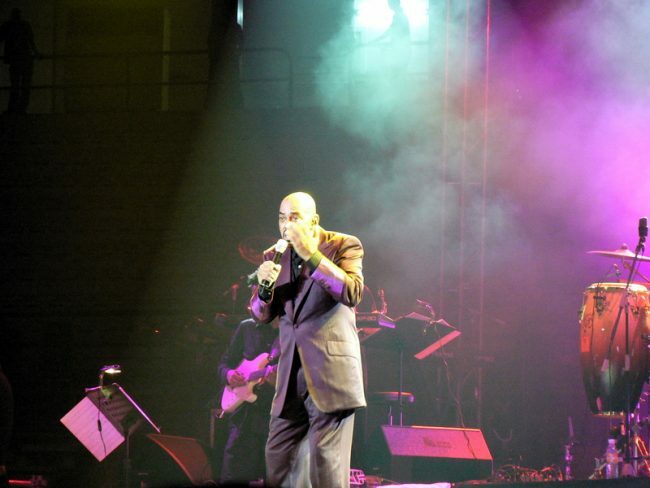 Legendary R&B singer James Ingram died from Brain Cancer on Jan. 29, 2019. He was 66 years old. Ingram has fought cancer for an extended period. Ingram’s singles “One Hundred Ways” and “Just Once” appeared on “The Dude” from Quincy Jones. He was nominated for three Grammy Awards. “One Hundred Ways” won the Grammy for Best Male R&B Vocal Performance in 1981. The singer made Grammy history when he performed “Just Once” at the opening of the awards show. That performance was the first time he sang live as a singer. He also was the first to open the ceremony with a ballad, and the only artist in Grammy history to win an award without having his own album. Nominated for 12 Grammy’s in his career, he won two. The first being for “One Hundred Ways” and the second for “Yah Mo B There,” his duet with Michael McDonald. In 1984, he was nominated for three Grammy’s. His duet with Patti Austin “How Do You Keep The Music Playing,” Michael Jackson’s “P.Y.Y. (Pretty Young Thing)” that he co-wrote with Quincy Jones and “Party Animal” which was nominated for Best Male R&B Performance. Ingram and Linda Ronstadt released in 1987 “Somewhere Out There,” the theme song from the animated movie “An American Tail.” The song won the Grammy for Song of the Year in 1987 and was nominated for a Golden Globe Award and Academy Award. Again in the 90s, Ingram dueted with Melissa Manchester, Dolly Parton, and Carnine Wilson. Last September during a tribute concert for Quincy Jones birthday, Ingram was unable to attend, and Austin performed without him. Funeral arrangements have not been announced. 3 Responses to "James Ingram Legendary R&B Singer Dies From Brain Cancer at 66 [Video]"
I will immediately clutch your rss as I can’t to find your e-mail subscription hyperlink or e-newsletter service. Do you have any? Kindly permit me recognise in order that I may just subscribe. Thanks. Good day! I simply wish to give an enormous thumbs up for the good info you may have here on this post. I will probably be coming back to your blog for extra soon.